Dhanush has been consistently working on his projects and his upcoming film ‘Thodari’ release is scheduled to happen in May. 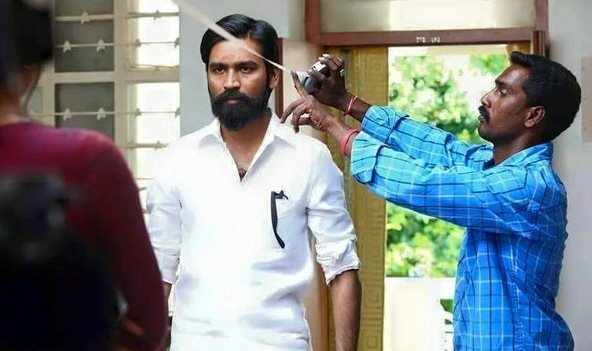 Meanwhile, the much awaited Dhanush Kodi shooting as been wrapped up recently and the post production works going in full swing. The latest updates about the film has been revealed, that Lyca productions has bagged distribution rights of Kodi. Lyca Productions, the producers of ‘Kaththi’ is now doing more projects in Kollywood. Reportedly, The production house is distributed Naanum Rowdy Dhaan and Visaranai were produced by Dhanush in past. Now bagged Kodi rights for huge price and will distribute all over Tamilnadu. Directed by Durai Senthilkumar, the film features Dhanush in dual roles with Trisha and Anupama of Premam fame playing the female lead characters. Touted to be political drama, the film is bankrolled by Escape Artists Motion Pictures. According to the source, The release date of Kodi has been locked which is slated for Eid 2016. With many big tickets like Theri, Kabali and 24 making its way for release in next couple of months, Dhanush wants to play it perfectly with right time of release. Stay tune for more updates about Kodi movie.